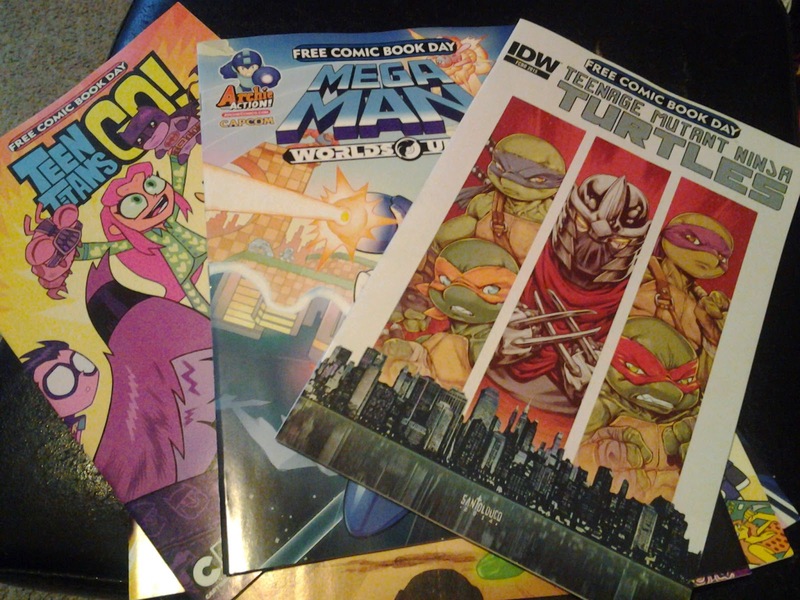 All my son wanted to do this past Saturday was go down to the comic book store and buy his comics. Usually in and out in less than 5 minutes. 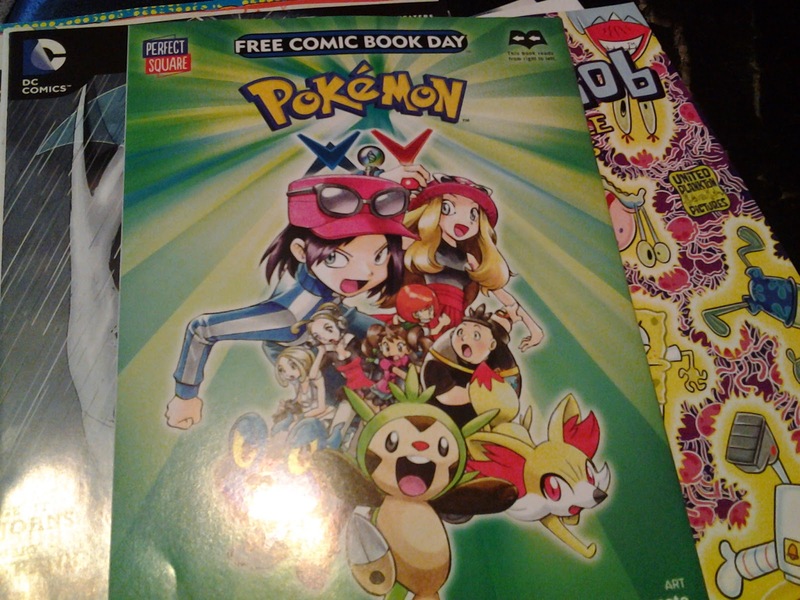 However this past Saturday they were giving away free comics. We waiting over an hour and a half to get comics. 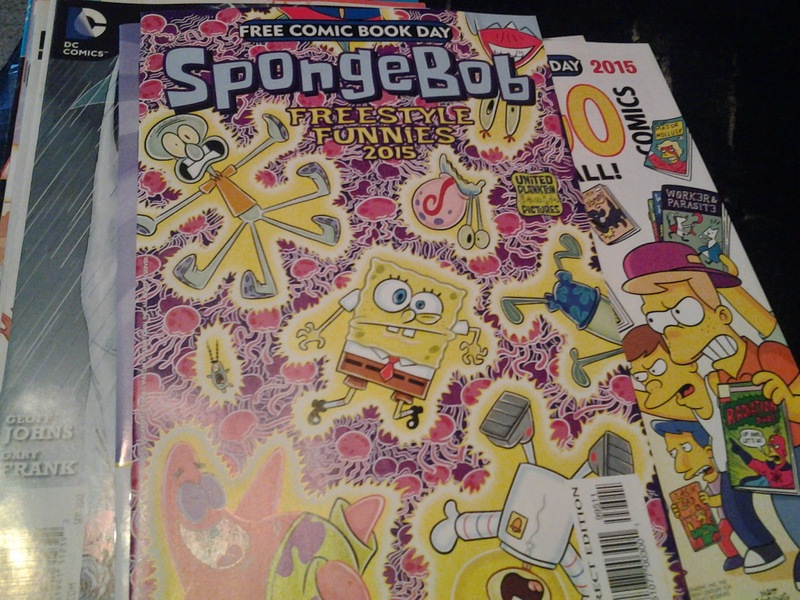 On the plus side, he did get a lot of free comic books. I want the Doctor Who one heheh! Looks like he got a lot and nice titles too! Very cool. 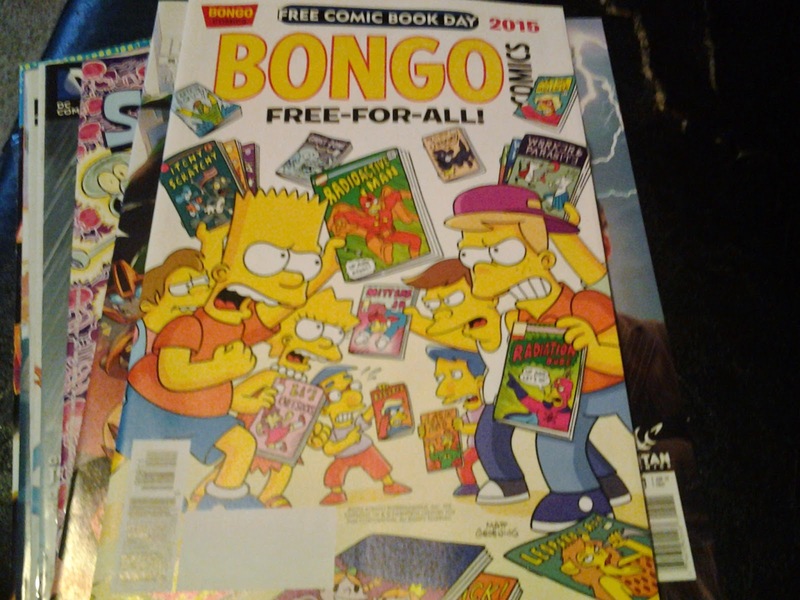 Even us old folks, like free comic day. my nephew had a good haul on Free Comics Day too! That's quite the impressive stash! I have not seen a comic book in years! Looks like fun! Wow, how exciting! My husband and I thought about going so that my husband could see what stash he could get. 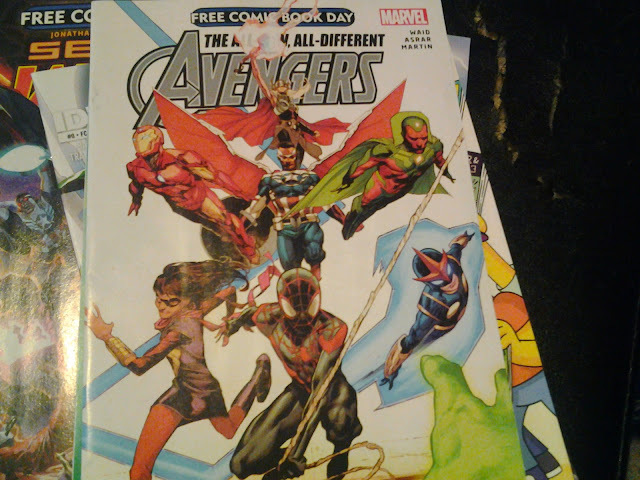 We ended up going to see Avengers instead.